Splashing for unicorns under the sea? 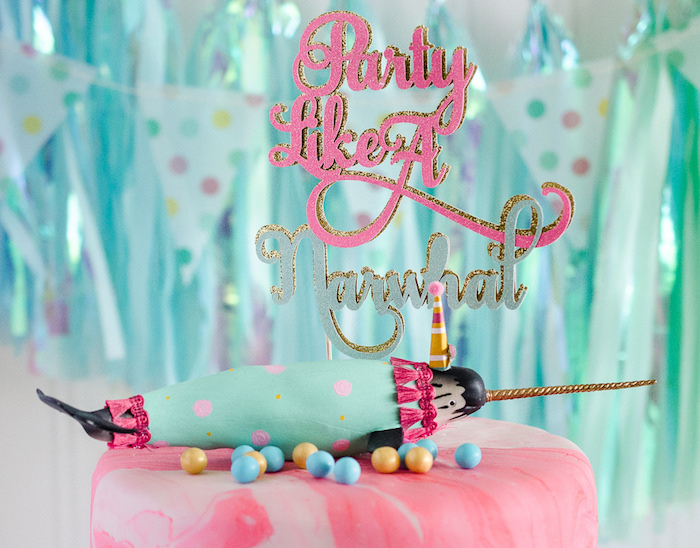 If so, this “Party Like a Narwhal” Birthday Party, will make you glad as can be! Styled by Rachel McAffee of Fawn – Handcrafted Celebrations, out of Salt Lake City, Utah; this adorable event will have you mesmerized! 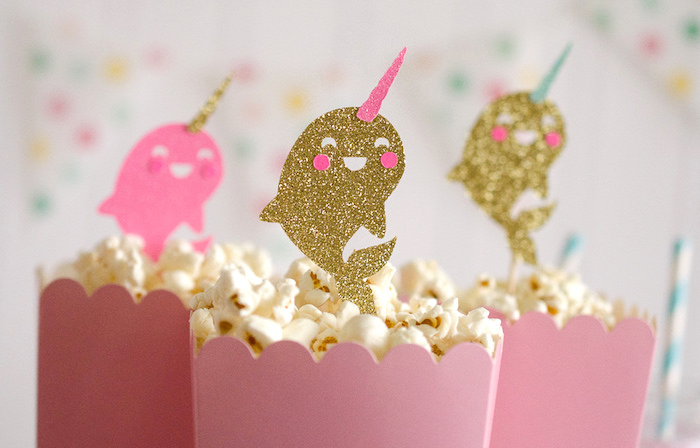 And cute favors and snacks adorned with narwhal toppers/cut-outs! This is what Rachel shared about the party- “A narwhal is an elusive creature but I’m pretty sure it knows how to party. After all, it’s the unicorn of the sea and we all know unicorns know a good party when they see one! 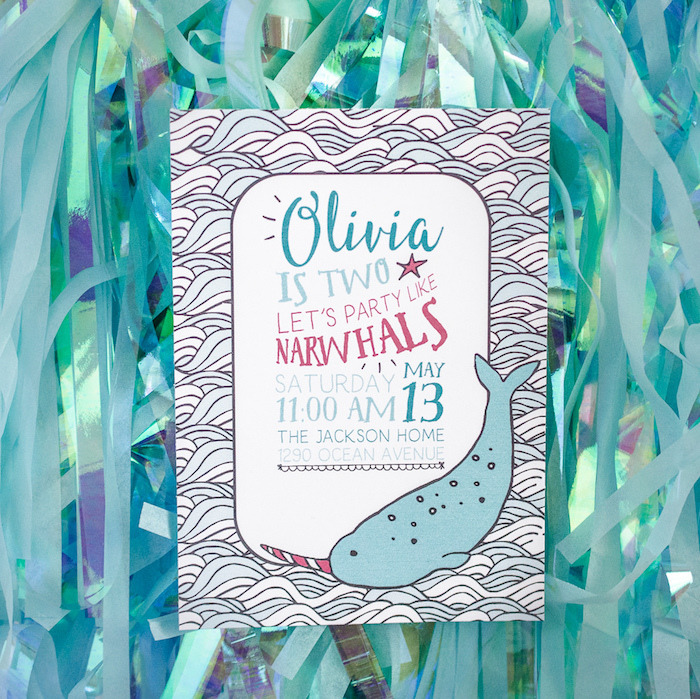 I’ve always wanted to throw a narwhal party and was so excited when I finally had the excuse to have one. I wanted to keep the party sweet and simple but I also wanted it to have a big impact with the little guests. I think it did just that! 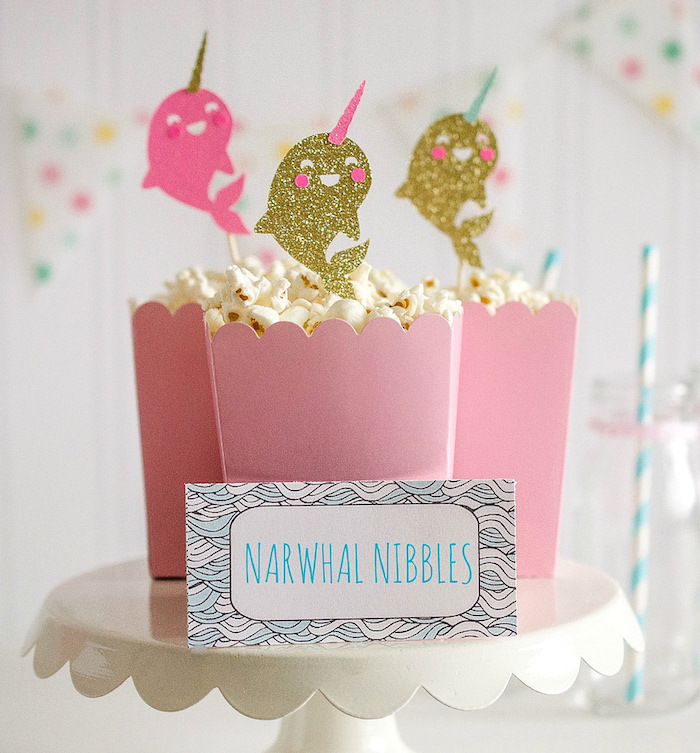 The adorable party narwhal cake topper was the inspiration for the party. The light blue and pink polka dots became the color palette so it was easy to find decor to match. Cake is a must for any party and I made a boxed cake using two round pans. I then rolled out marshmallow fondant to cover it. By mixing one piece of white fondant with a piece of pink fondant together, it came out as a beautiful swirled watercolor look that I loved. 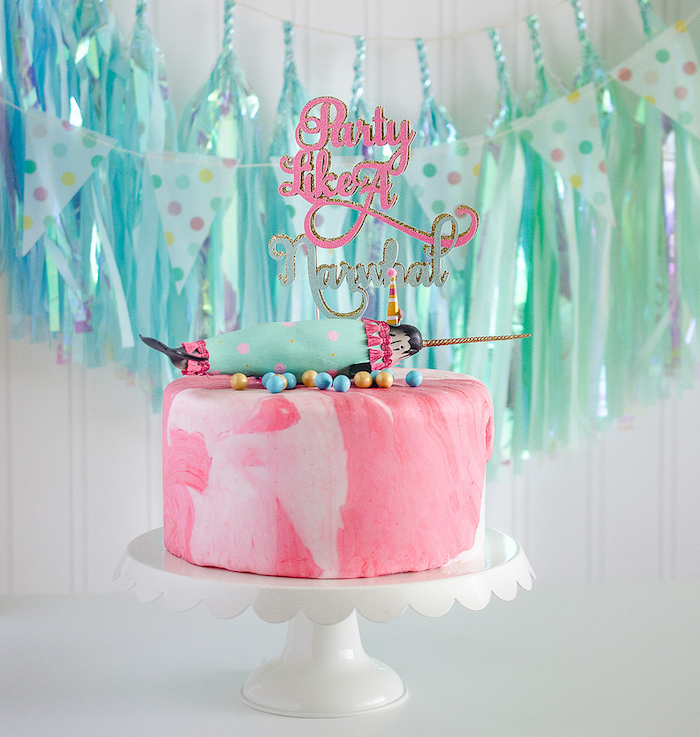 Of course the narwhal had to top the cake along with candies and “Party Like a Narwhal” cake topper. 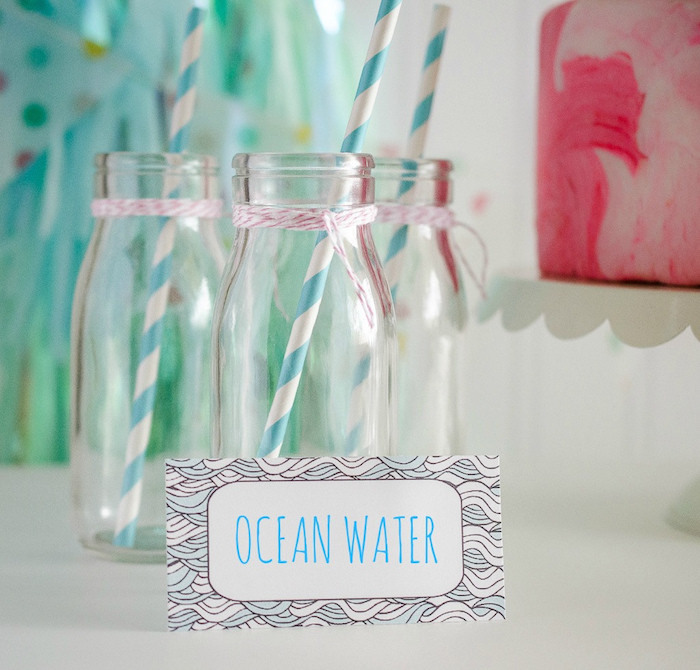 I kept the snacks simple and served narwhal nibbles (popcorn) and ocean water ( plain water…but the kids thought it was so funny they were drinking water from the ocean!) The guests loved coloring pictures of their own little narwhal and loved adding stickers and sparkles to their pages. 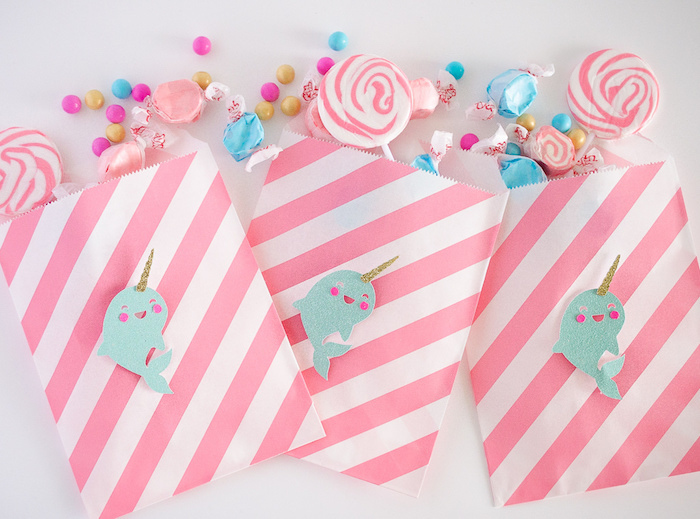 Each little guests received a narwhal headband, goodie bag filled with sweets and a mini narwhal plushie. Want more narwhal? 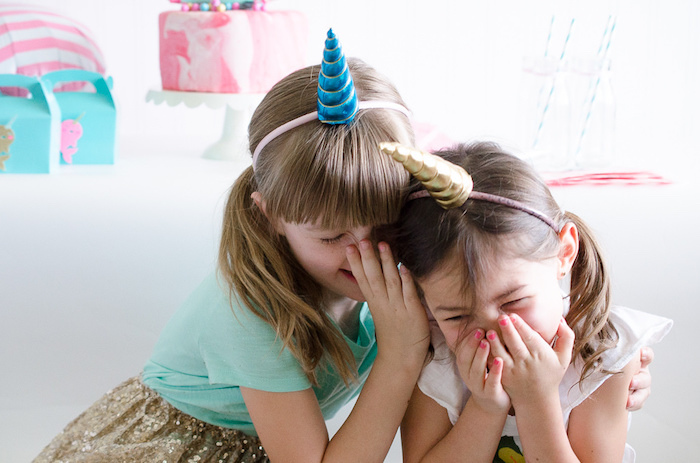 Find it in this Magic Narwhal “Unicorn of the Sea” Birthday Party! Hi Kara, my daughter really loved it! Thank you! 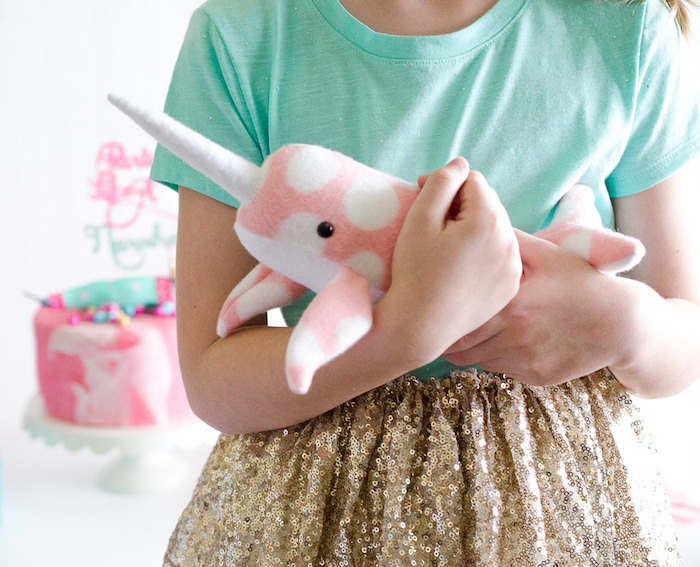 Where would I find the plush polka dot narwhal? It is exactly what I am looking for. 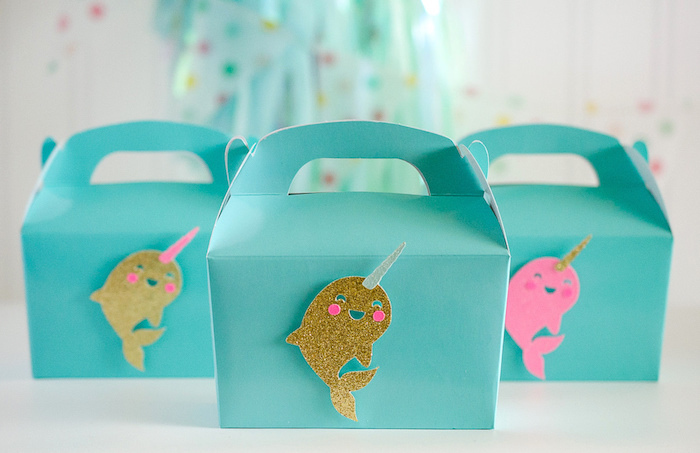 Where did you get the favor boxes with the glittery narwhal stickers?